Overall excellent condition. About 10 1/2" tall, no box. So cute!!! Smoke and odor free. Please check out the other items I have. Thanks for looking! 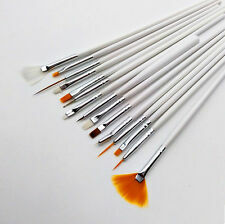 The materials used are of high quality, durable and flexible. Images of the final wax sculpture from which silicone molds are taken to cast the tooling master for the final product. Overall excellent condition. About 17 1/2" tall with original tags. So cute!!! Smoke and odor free. 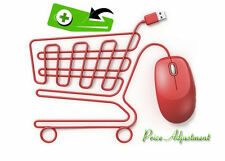 Please check out the other items I have. Thanks for looking! Pukifee Ante. The order includesa doll with face-up, acrylic eyes (random color) and a clean sponge(magic eraser);. The final product may be slightly different the photo. 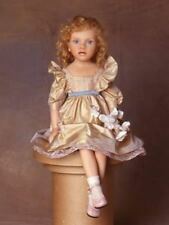 May I present a gorgeous doll by world famous award winning doll artist Heidi Plusczok, who has formally retired from doll making, although she still makes a few dolls in ultra tiny editions. Artist: HEIDI PLUSCZOK. Overall excellent condition. With fuzzy soles. Smoke and odor free. Please check out the other items I have. Thanks for looking! Overall excellent condition. About 13 1/2" tall. So cute!!! Smoke and odor free. Please check out the other items I have. Thanks for looking! Overall excellent condition. About 10" tall, no box. So cute!!! Smoke and odor free. Please check out the other items I have. Thanks for looking! Pukifee Bonnie. The order includesa doll with face-up, acrylic eyes (random color) and a clean sponge(magic eraser);. 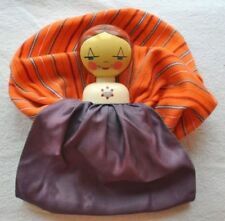 Janina is a 1997 Gotz doll by Elizabeth Linder. She has a blonde mohair wig and lovely green side cast glass eyes. Her hat and certificate are still attached. She is all original, with her complete original outfit. Karen Alderson Porcelain Doll Keiko 22" Merrymeeting collection, NEW in box+COA! ( the Normal Skin human upper part of the body ,White horse body and Wing option will be chosen for you ). The order includesa doll with face-up, acrylic eyes (random color) and a clean sponge(magic eraser);. LEEKE WORLD Girl Clarice. The order includesa doll with face-up, acrylic eyes (random color) and a clean sponge(magic eraser);. Circumference of Neck : 6cm. Circumference of Chest : 13.5cm. Height : 41.5cm ( with Head ). Breast size : Large breast 32 cm. - Waist to toe length : 42 cm. The order includesa doll with face-up, acrylic eyes (random color) and a clean sponge(magic eraser);. - Height : 62.5 cm. R john wright dolls. Mrs. Tiggy-Winkle 185/500 made14 "
R john wright dolls Mrs. Tiggy-Winkle. Condition is New.Never out of box.From a smoke free home. Shipped with USPS Priority Mail. The order includesa doll with face-up, acrylic eyes (random color) and a clean sponge(magic eraser);. -Head circumference: 23.5 CM. The final product may be slightly different the photo. -Neck circumference: 13.5 CM. SID boy Claude. The order includesa doll with face-up, acrylic eyes (random color) and a clean sponge(magic eraser);. Waist to toe length : 41 cm. Chest size : 33.7 cm. Shoulder width : 17 cm. R john wright Kewpie . Condition is new. # 657. Old store stock. It comes from a nonsmoking house and has no odors. 1/3 girl Ellana. The order includesa doll with face-up, acrylic eyes (random color) and a clean sponge(magic eraser);. Skin options: White, V-normal, Normal, Brown, Light Tan, Tan;. Neck circumpherence : 8cm. 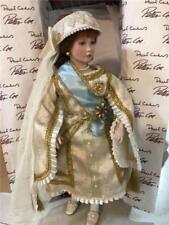 In this possition she is 13" tall and she is overall approx 21" tall. She is one of a limited edition of 3500 dolls. She has very sweet face with beautiful eyes. Rose has vinyl head with shoulder plate, lower vinyl arms and lower vinyl legs. 1/4 Doll Sphynx Cat. The order includesa doll with face-up, acrylic eyes (random color) and a clean sponge(magic eraser);. 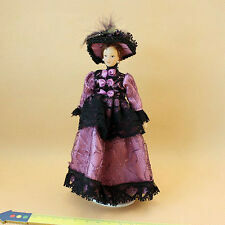 This is a little charner of a bisque dollhouse doll. She is 4" tall and mint with a blue sailor suit. The face is well done and she was in a collectors dollhouse for quite a while. She would sweet in any dollhouse or room box setting. BJD GRANT PHILLIPPE – FASHION (44CM). Pubic bone to tip of foot length 265 mm. The order includesa doll with face-up, acrylic eyes (random color) and a clean sponge(magic eraser);. Head circumference 133mm. Lust delf girl body (Just Body only, Without Head). The order includesa body, without head, without make up, a clean sponge(magic eraser);. (hip - knee). Girth of chest : 25.5 cm. Length of arm parts : 16.5 cm. “Bridget” 10" Vinyl Doll Tuesday's Child Sculpt by Dianna Effner for Boneka, edition 21/24 Beautiful doll is in excellent condition with no problems found. She has long blonde hair and blue eyes. She comes dressed in a white summer dress with red detail on the front and a pair of matching shorts or undies. She wears black maryjane shoes and white socks. She is signed on the base of her neck. She comes with her original cotton bag and COA. Dolls comes from a Smoke free environment. 1/3 doll Venitu. The order includesa doll with face-up, acrylic eyes (random color) and a clean sponge(magic eraser);. -Head circumference : 20.5 cm. -Height : 68 cm. SHE IS ALL VINYL AND HAS 11 JOINTS FOR MANY POSING POSSIBILITIES. SHE WAS MADE IN GERMANY. SHE HAS A LONG THICK GOLDEN BROWN WIG, GORGEOUS GREEN EYES AND LONG LASHES. HER OUTFIT IS COMPLETE AND ALL ORIGINAL; I ALSO ADDED A COORDINATING RHINESTONE HEART NECKLACE. 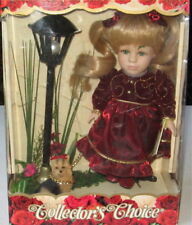 RARE SONJA HARTMANN HEART & SOUL 18" KIDZ N CATS DOLL RIEKE. SHE IS ALL VINYL IN A LIGHT TAN SHADE AND SHE HAS 11 JOINTS FOR MANY POSING POSSIBILITIES. MADE IN GERMANY. RIEKE HAS A LONG, THICK RED WIG, LOVELY GREEN EYES AND LONG LASHES. MiniFee girl Ante. The order includesa doll with face-up, acrylic eyes (random color) and a clean sponge(magic eraser);. body choose. The final product may be slightly different the photo. The order includesa doll with face-up, acrylic eyes (random color) and a clean sponge(magic eraser);. Volks Boy Williams SD17 body. The final product may be slightly different the photo. 1/4 boy Pyrus. The order includesa doll with face-up, acrylic eyes (random color) and a clean sponge(magic eraser);. The final product may be slightly different the photo. SD17 boy body (Just Body only, Without Head). The order includesa body, without head, without make up, a clean sponge(magic eraser);. >Hip circumference:26.5 cm. >Arm length :14.5 cm. >Neck circumference:10.3 cm. R John Wright Nighttime Pooh. Condition is New. #1183/2500. Old store stock and comes from a nonsmoking environment with no odors. Dollstown 18yrs Girl body (Just Body only, Without Head). 18yrs Girl body's detail size (a unit : cm). The order includesa body, without head, without make up, a clean sponge(magic eraser);. weight 1.9 kg(head body). INCLUDES: 1 Doll with Face-up, Acrylic eyes (Random Color), 1 Clean Sponge;. There may be slight difference in color or details of the actual product to the photograph. HE IS ALL VINYL AND HAS 11 JOINTS FOR MANY POSING POSSIBILITIES. MADE IN GERMANY. THE WAGON SHOWN IS NOT INCLUDED.